Our aim is to provide all the classic day-to-day vegetables and introduce new things to diversify your food experience. 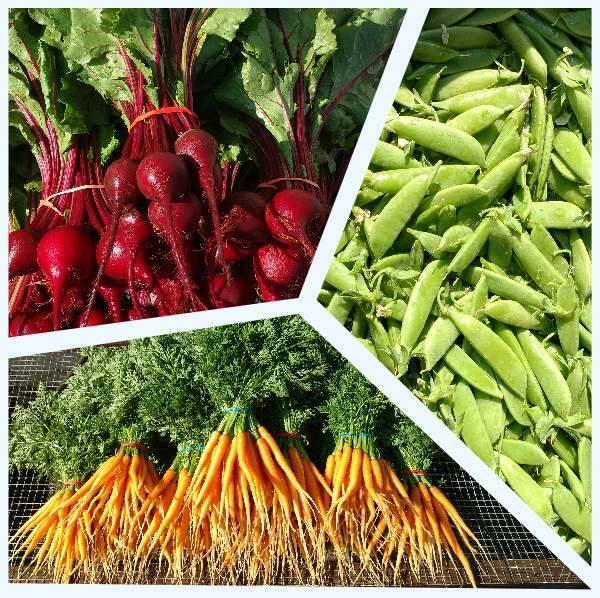 We grow a diverse variety of produce including carrots, loose leaf greens, lettuce, cabbage, beets, tomatoes, onions, garlic, zucchini and other summer squash, winter squash, broccoli, beans, peas, radishes, salad turnips, brussels sprouts, and asparagus. We also provide common culinary and medicinal herbs. In our herbal deliveries we provide goat milk soap, skin salves, tinctures, tonics, and other helpful oils. Visit our Farmstand, sign up for a CSA, or contact us to learn more! What and When Are We Harvesting?